Oftentimes, exhaustion is simply the result of our fast-paced schedules, and after a little rest or time off, we feel rejuvenated. When rest or even extended “time-off” doesn’t sufficiently alleviate fatigue, this can be a red flag for thyroid dysfunction. Fatigue plagues the majority of individuals diagnosed with Hashimoto’s, a form of slowed thyroid function called hypothyroidism. 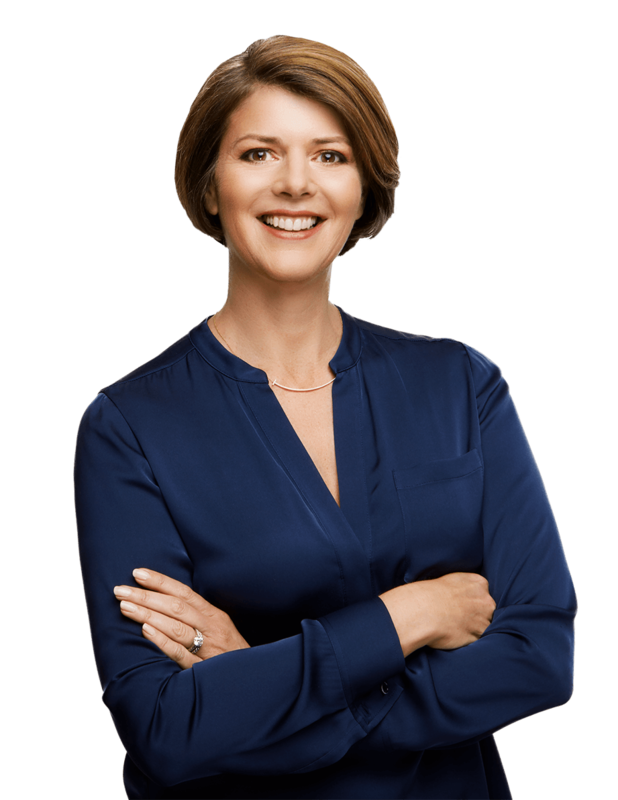 If you have received a Hashimoto’s diagnosis, the good news is that you can now know exactly what is causing your fatigue, as well as what to do to take back your energy and your health! You do not have to stay exhausted, dragging yourself through your days, wondering how you can get your energy back. You CAN overcome Hashimoto’s fatigue and reclaim your health and vitality! In this article, I’ll be sharing 10 ways to regain your energy if you’ve been diagnosed with Hashimoto’s. Before I explain how to resolve Hashimoto’s fatigue, let me quickly recap what is causing your fatigue in the first place. 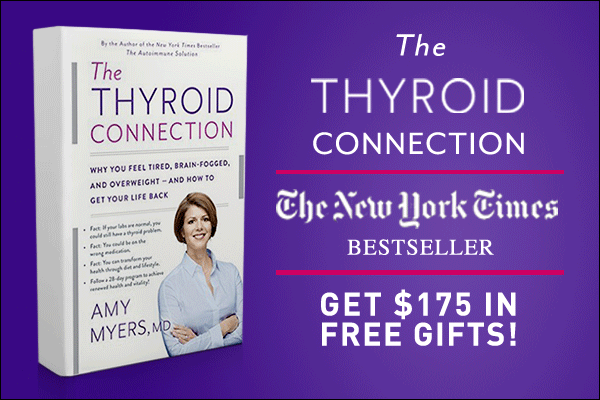 Resetting your immune system is a pivotal factor in overcoming Hashimoto’s, and I explain how to do this in my book, The Thyroid Connection. 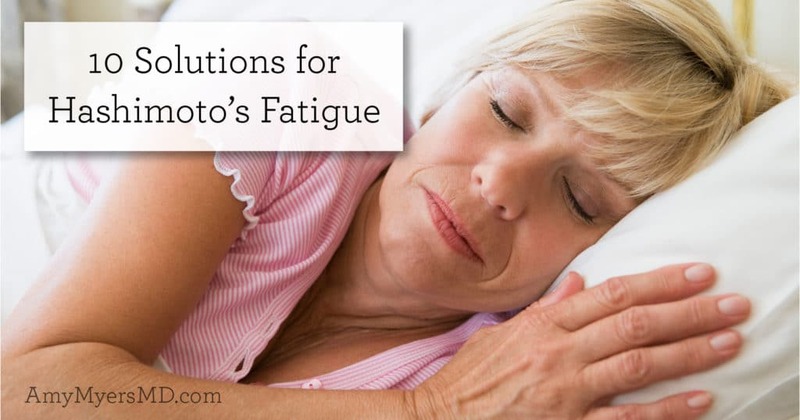 Whether you have been dealing with Hashimoto’s for years, are newly diagnosed, or suspect your fatigue may be caused by Hashimoto’s, there are a few key areas you can address to regain your energy and get back to feeling like yourself! Your TSH (Thyroid Stimulating Hormone) lab results are a key component in understanding your thyroid health. Most endocrinologists measure TSH levels as the gold standard for determining thyroid health, and report a “normal” range as healthy. However, I recommend you ask for a copy of your lab results because there is a great deal of variance in what is considered “normal” TSH concentrations. You are looking for optimal TSH levels, rather than normal, in order to overcome Hashimoto’s fatigue and restore your energy. 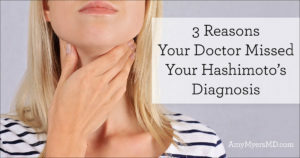 In addition to TSH, you also want to measure the levels of your other thyroid hormones. Your thyroid gland produces T4, the stored form of hormones, and converts this to T3 (triiodothyronine) the active form of hormones. We call this “Free T3”, which keeps your metabolism going and serves as the main “energy” hormone in your body. Free T3 causes your cells to produce more energy, so it’s important to ensure that you have adequate levels of active T3, as it tells your body to boost metabolism thus creating more energy. It’s also a good idea to confirm that you don’t have high levels of a hormone called Reverse T3, which can block thyroid receptors and slow energy production. 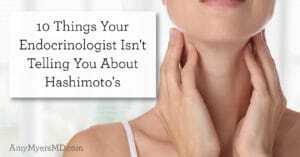 For more information on interpreting your lab results, read my article, What Your Thyroid Lab Results Really Mean. After you understand your lab work and know all your thyroid hormone levels, you can better work with your doctor to confirm you are on the right type and dose of supplemental thyroid hormone. The most commonly prescribed supplemental thyroid hormone is a T4-only hormone, such as Synthroid® or Levoxyl®. Many thyroid patients have difficulty converting T4 to T3, and do better on natural desiccated thyroid hormone, such as Armour® or Naturethroid®, which includes both T4 and T3. You can also add in a T3-only form of supplemental thyroid hormone, such as Cytomel® or a compounded time-release T3 formula. 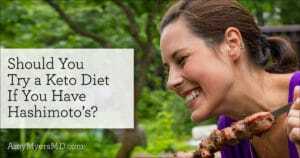 For more details, read my article Which Thyroid Medication is Best for Hashimoto’s. It is quite common for people with Hashimoto’s to have low stomach acid. Low stomach acid inhibits digestion and can cause immense fatigue. 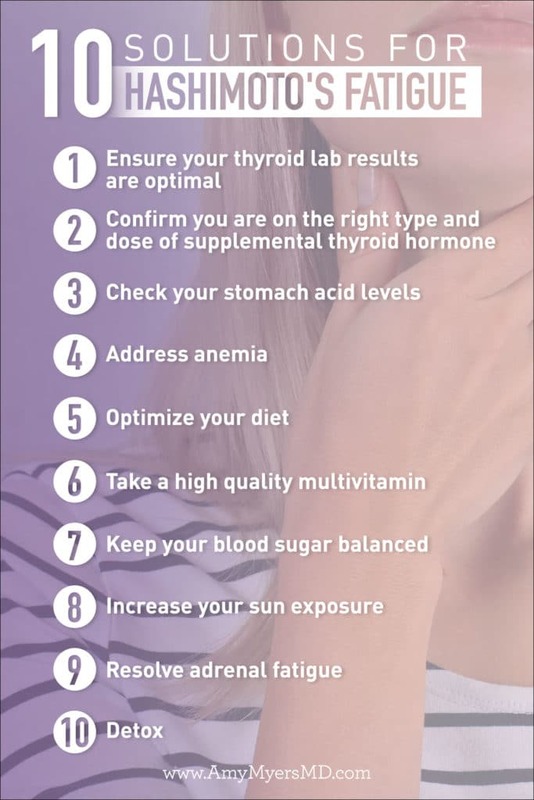 This is a problem for anyone with thyroid dysfunction, as it blocks your body from absorbing the key nutrients which are so necessary for a healthy thyroid and subsequent energy production. Your stomach acid is what breaks down food in your gut and allows your body to reap all the benefits of key nutrients. Indicators of low stomach acid include bloating, acid reflux, and gas after eating. This is especially common after consuming high protein meals, which require more stomach acid to digest. To test your stomach acid levels at home, you can take one capsule of HCL with water before a meal, and if you have a burning sensation in your stomach 30 minutes after you eat, you do not have low stomach acid. Otherwise, you likely need to take a supplemental form of stomach acid. Anemia can also accompany Hashimoto’s, primarily for middle-aged menstruating women. Iron deficiency can be a cause of anemia, yet there are actually 3 nutrient deficiencies linked to this condition–iron, B12, and folate. Your doctor will most likely test your hemoglobin and hematocrit only. If you test low for iron, I recommend a daily iron supplement, specifically ferritin (the protein that stores your iron). B12 taken in sublingual drop form can mitigate a B12 deficiency. Believe it or not, what you are eating and not eating can make all the difference in your overall health, including your thyroid. By simply cutting out inflammatory foods and adding in nutrient dense foods that nourish your body and strengthen your immune system you can see your thyroid dysfunction improve, your energy return and experience better health overall. 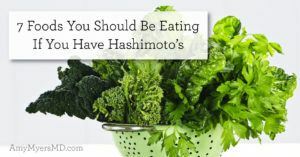 See this article for some of the best foods you should be eating if you have Hashimoto’s. As for foods to eliminate that simply drain your energy, I recommend all my patients ditch the two biggest offenders, gluten and dairy. Gluten and dairy are highly inflammatory and can directly cause your immune system to attack your thyroid through a phenomenon known as molecular mimicry. I also recommend eliminating corn, soy, nightshades, eggs, nuts, and seeds while you work to restore thyroid function, as these can elicit an immune response as well. If you are consuming any processed or sugary foods, replace them with whole, organic produce and grass-fed organic meats or wild caught salmon. 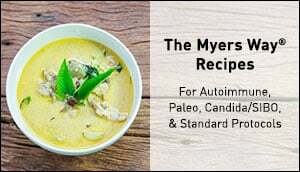 My new cookbook, The Autoimmune Solution Cookbook, is full of quick and delicious recipes and desserts you can enjoy while you watch your health turn around! I also have a NEW Organic Greens Superfood Juice Powder, which contains 14 powerful organic plant foods and is a great way to ensure you’re getting adequate nutrition on a daily basis. You can simply stir it into some water or add it into your morning smoothie for an all-natural pick-me-up! After you optimize your diet, you will experience the benefits of nutrient-dense, organic whole foods. I want to reiterate how important key nutrients are for your thyroid to function optimally. From iron, to folate, to B12 and many others, your thyroid relies on these nutrients to perform all of its tasks. Taking a high quality multivitamin is imperative because modern agricultural practices rob our soil of valuable minerals, and honestly, most of us just don’t consume enough nutrient-dense foods. My custom-formulated multivitamin includes all of the vitamins and minerals necessary for thyroid health and general wellness in their most bioavailable and easily absorbable forms. To reduce fatigue further, you will need to keep your blood sugar balanced. Eating a low-glycemic, nutrient-rich diet offers many health benefits, primarily maintaining higher energy levels throughout the day. You will feel fuller longer, and you will avoid the sluggish blood sugar roller coaster caused by reactive hypoglycemia. This occurs when your blood sugar spikes and drops as a result of consuming sugary, processed foods. The rise and fall of insulin encourages your body to convert T4 to Reverse T3, instead of Free T3. Reverse T3, the inactive form of thyroid hormone, slows metabolic processes and contributes to fatigue. Along with healthy fats such as avocados and coconut oil, I recommend protein with every meal in the form of grass-fed meats, wild-caught fish, or my delicious Paleo Protein, which supports blood sugar balance and increases energy. Simply stepping outside accomplishes two ways to help you reduce fatigue. It reduces stress and increases your vitamin D. Vitamin D deficiency is very common in people with Hashimoto’s. You don’t have to exert any energy to increase your daily dose of sunshine! Just sit in a lawn chair or throw out a blanket and catch some rays. Just 10-15 minutes per day is sufficient to increase your vitamin D, unless you live in northern latitudes–in which case you’d need to take a vitamin D supplement year-round. That being said, I recommend everyone take a vitamin D supplement regardless of where you live because of the amount of time we spend indoors, and how we tend to cover up with sunscreen when outside to avoid the harmful effects of UV rays. Including wild-caught salmon and cod liver oil in your diet can also help increase your vitamin D levels. Your adrenal glands, located at the top of each kidney, are a part of your endocrine system along with your thyroid. The adrenals produce hormones that control blood sugar, burn protein and fat, react to stress, and regulate blood pressure. You are probably familiar with the adrenal hormones cortisol and adrenaline (also known as your “stress hormones”). Chronic stress, common to many of us, can lead to adrenal fatigue as a result of overactive adrenals. 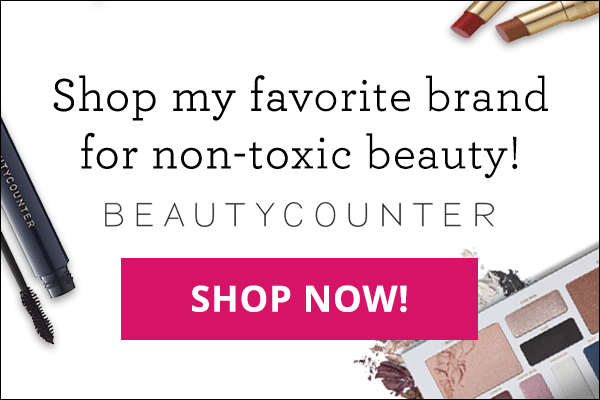 We are exposed to toxins daily in the food we eat and in our environment. This can wreak havoc on your health-especially your liver, which is working so hard to eliminate toxins from your body. An increased toxic burden can increase fatigue significantly, especially if you are already dealing with thyroid dysfunction. Optimizing your diet and eating foods that support your body’s natural detoxification pathways can help decrease Hashimoto’s fatigue. For ideas, read my article 8 Foods to Help You Detox Naturally. To tame the toxins in your environment, I recommend filtering your water and air, using non-toxic cleaning products and beauty products, and ensuring mold is not present in your home. Incorporate these 10 strategies into your life to overcome Hashimoto’s fatigue, and watch your health transform and your energy return! Remember, your health is a life-long journey. You’re worth the effort!